Wall plate decorations is an upcoming interior decorating concept for home decor. 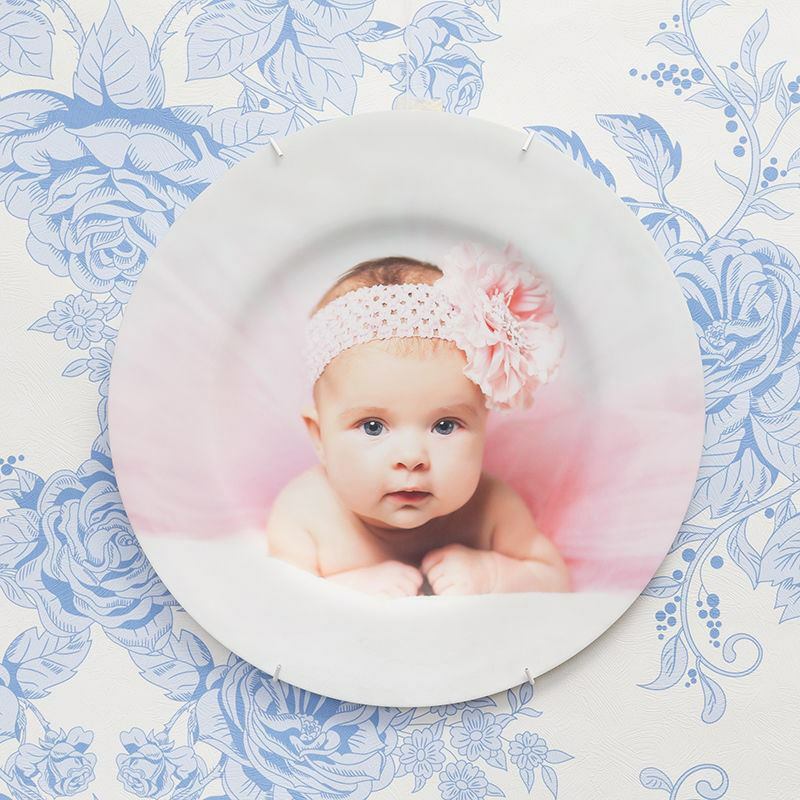 From traditional images of flowers and creative art designs to personal photos of friends and family members, wall plates can look stunning on walls and living shelves or sideboards. Our decorative wall plates also make great gifts for special occasions, housewarming gift, mother's day present, and Christmas gift. If you are looking for some inspiration on how to decorate wall plates, think about random patterns, a montage of photos, overlapping patterns on plates, or have simple text and make a statement with your plate for your wall. I have now ordered a few different products and all of them turned out to be excellent quality. The service is top quality too. When I needed help it was readily available. I can recommend this company to everybody. My friend was delighted with her plate it is the second one I bought for her. This plate looks really good on my wall. One of several bought recently and all good quality. Our specialist technicians use a digital printing method which bonds the eco-friendly inks deep within the fibres of the material. This ensures that your print is long-lasting and that all photos are reproduced to the highest possible quality. When you are creating your personalised decorative wall plate, please take note of the bleed area within the design interface. You need to ensure that your image fills the whole area, otherwise, you will end up with uneven white edges and you will find that your final print is likely to be off-centre. Keeping track of time couldn't be any more fun. Our personalised round photo clock is an ideal gift to your empty walls.